CEDAR CITY — According to the National Center for Education Statistics, more than 57 percent of college undergraduates are women, yet only 18 percent progress into science, technology, engineering and mathematics fields as a career. The National Center for Women in Information Technology partnered with Southern Utah University to reverse the trend of low female enrollment in STEM fields in rural areas by sponsoring a competition for young women and girls who are active and interested in computing and technology. The “Aspirations in Computing” competition is open to any 9th-12th grade girls and educators, as well as college-aged women in technology. The competition provides participants with ongoing engagement, visibility and encouragement for their computing-related interests and achievements from high school through college and into the workforce. These opportunities aim to strengthen competitors’ leadership, technical and entrepreneurial skills, further preparing and motivating them to participate in the computing workforce. So far, the contest has awarded more than 10,000 young women. Applications for the 2019 Aspirations in Computing awards are open now and the deadline is Monday at 8 p.m. MST. 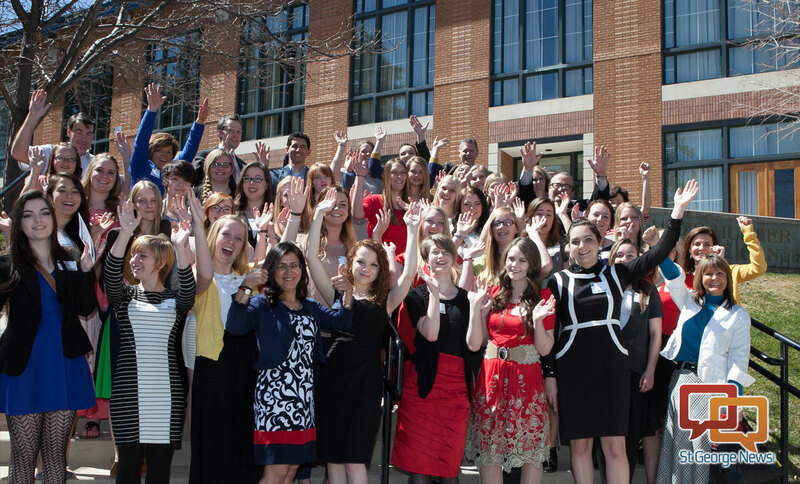 The Southern Utah chapter of NCWIT has already received more than 100 applications, currently ranking it first among the 79 chapters in the nation in applications received. Shalini Kesar, an associate professor of information systems at SUU, has led the Southern Utah chapter since 2014, spearheading its development across Southern Utah and Nevada. The Southern Utah chapter now targets 18 counties: Beaver, Garfield, Iron, Kane, Millard, Piute, San Juan, Sevier, Washington, Wayne, Grand, Emery, Sanpete and Juab in Utah and Lincoln, White Pine, Elko and Eureka in Nevada.